Super Eagles World Cup star Ahmed Musa has completed his transfer to Saudi Arabia club Al Nassr from Leicester city for a reported £17.5m. The 25-year-old joined Leicester from CSKA Moscow for a club record fee of £16m from CSKA Moscow. But after struggling in his first season with just two goals in 21 matches he was loaned back to the Russian club last season. 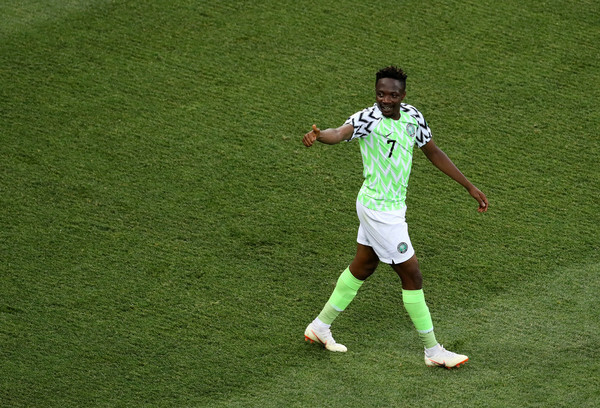 Ahmed Musa featured for Nigeria at Russia 2018 World Cup, scoring two goals in a win over Iceland.